You just never know where you will find the next cool image. I was sitting on the bench in front of my office on Main Street a couple of days ago enjoying the fresh smell of rain and snapping a few pics of rain drops falling and splashing about, none of which turned out very impressive. 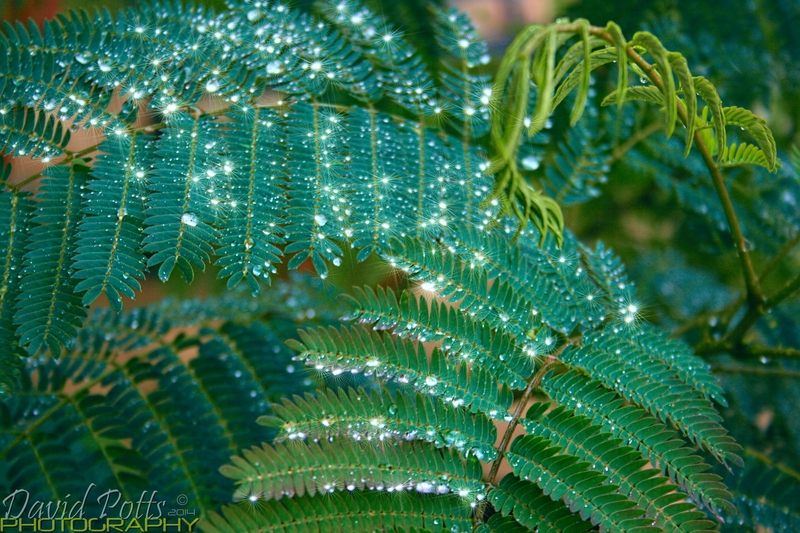 I have a Mimosa in a large pot right next to the bench which had some nice new sprigs of life popping out here and there with water droplets nestle neatly along the little leaves, almost appearing to be waiting around so the tree could absorb the long awaited nourishment. I thought to myself…self “that’s beautiful”! Well I collected a few shots and fortunately I used the flash on some of them which looked spectacular on the raindrops. You just never know where the next cool shop is coming from, so my best advice is to shoot everything and let the cream rise to the top!